Tesla has spent the last year battling issues with the company's Model 3 production lines, but beyond that limelight another production issue seems to be lurking. 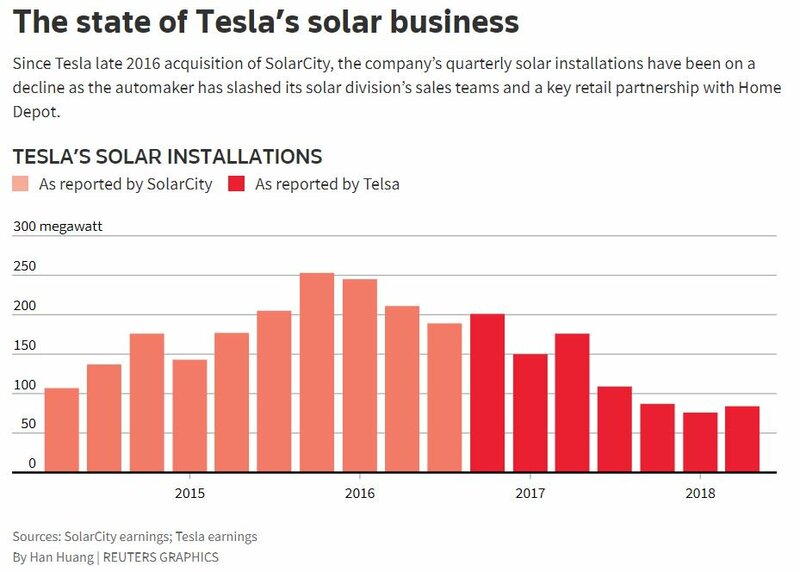 Tesla's New York factory, which is run in partnership with Panasonic, is experiencing severe assembly line issues, especially impacting Tesla's ability to manufacture solar roof tiles. Tesla has allegedly been using cells from JA Solar instead of cells from Panasonic, because the JA Solar cells have the preferred level of reflectivity. Panasonic, meanwhile, has been courting offers to sell its cells to other panel makers. If I have the math right this factory is producing tiles equivalent to just 30 conventional panels, per day. This is a factory that Tesla claim to have poured $650m into, this year. As is, Panasonic is producing about 1,900 solar panels per day and about 2,000 solar cells per day, according to sources. That's an annual production rate of less than 0.25 gigawatts. Tesla has said the Buffalo factory will produce 1 gigawatt by 2019. 2000 x 5.5 is akin to a 11KW typical solar PV install using 325W modules however the roof-space needed for 2000 individual shingles is much larger so that implies from 1 to 2 total roof product-sets per day. Doing the precision cutting of silicon wafers is hard, but this is slow.